I’ve had Liberty, having just turned eleven and completed fifth grade, working on two units from Moving Beyond the Page as part of a Old Schoolhouse Magazine Review Crew review. We received their literature study for A Wrinkle in Time for ages 9-11 and their social studies unit Colonization and Revolution, also for ages 9-11. Liberty’s a great reader, motivated to hurry up and finish, and has never been taught from a classical approach. Moving Beyond the Page is entirely a classical approach, and offers a complete homeschool curriculum. It was a clash from the beginning. I loved it all. The approach, the emphasis on literature – the books! A Wrinkle in Time came with just the one book and an online study guide, but Colonization and Revolution came with the workbook and three other books, to be used together. I’ve always used a textbook approach with my kids, and we’ve not studied literature to any great extent, but I had fun with this. Liberty struggled. She loved the book A Wrinkle in Time. The online guide was great. She could type in her answers and save them to the computer or print them out. There was far less grumbling over the literature than the history… but I loved the history more! Colonization and Revolution was hard. Challenging. Perfectly fine for her grade level, but it isn’t for slackers. It was more work than I’ve ever required of her, but she learned so much. She did fine in it, and even liked the books. The time each took each day though… she’s not used to working so hard! She wanted to hurry through and get it done, but it didn’t work that way. She had much to do, much to read, many questions to answer, and the time it took her was not so pleasing to her. Upon pressing her, the time required was really her only complaint. She spent around two hours a day, 3-5 days a week on these. The units we did were created to be done at the same time, one unit of literature and one unit of social studies, five days a week for three weeks. We finished them in a bit longer than three weeks, simply because we’re on a revised schedule because of summer break – and Liberty was protesting the time required so we slowed down so she’d have a day off each week. A few times, I had to help Liberty find the answers, but overall, she was able to work on this independently. If I were to change anything, it really would simply be my approach to schoolwork from the beginning. We’ve done these subjects, but nothing so in depth, and at a far slower pace. Moving Beyond the Page was challenging – I think the Classical approach usually is – and it was hard for Liberty to get into the swing of things. I think that would be something we’d get past, and I love the level of learning Moving Beyond the Page offers. It covers a variety of topics, keeps things moving to prevent boredom, and has quite a few well-known titles as well as poetry and more. I was torn in choosing the title we did, but it was much-liked – even by Eden, my nine year old who couldn’t help herself and read the book too. I think she, with her love of literature, would have been less begrudging of her time and more thrilled to see the stack of books she needed to conquer. It was a stretching experience for Liberty, but a good one. I’m nothing but pleased with what I read in the curriculum, and think they did a particularly good job with the additional history reads. The few times Liberty needed help it was for rewording of the original reading that made me think she wasn’t fully comprehending what she was reading – she’d have known what it meant if she had – but it was easily explained and we moved forward. This page offers guidelines regarding levels, expectations, and what your child ought to be able to do to begin in that category. It’s not separated by grade nearly so much as ability, so I found that page helpful in making my level choices. 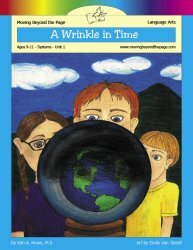 A Wrinkle in Time Literature Study is priced at $23.98 for the regular package or $19.92 for the online package. Details on what is included in each is available here. 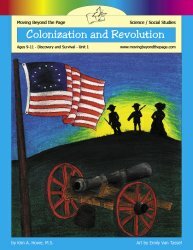 Colonization and Revolution $51.88 for the regular package or $47.82 for the online package. 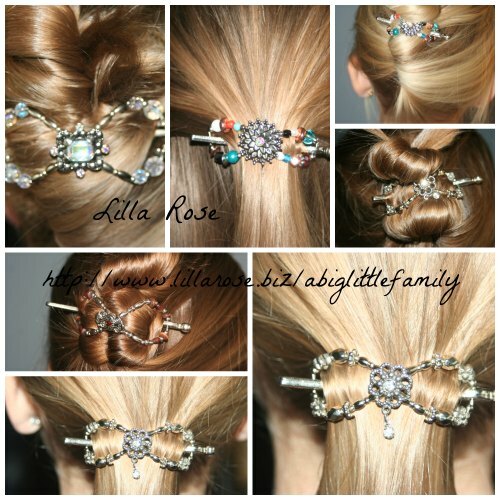 Details on those packages are available here. These are units in a part of a larger year-long study. I can only imagine they are completely awesome as well, judging from this small section I got to see and use. Moving Beyond the Page is on Facebook. To read more Crew reviews on these titles and dozens more that were offered to the Crew and are available from Moving Beyond the Page, check out the Review Crew Blog. ← Score one for Momma.